DADaPalooza: RESTAURANT: Dak Wings (Edgewater): Cheap, tasty, and a place to bring friends. RESTAURANT: Dak Wings (Edgewater): Cheap, tasty, and a place to bring friends. I am always on the lookout for a cheap good restaurant to bring out of town people to. Ideally close to my house, ideally some kind of food that you can't get anywhere else, ideally unassuming and dinerish in price and settings. Anybody can find a great unique restaurant that costs a lot of money. In fact, I'll posit that is WHY they cost so much. Finding this kind of place increases your street cred as a foodie. To be there before it got crazy. I'm happy to add Dak Wings to this list. Since we moved to Chicago 6 months ago, we've taken probably 7 different people to Dak, including two visiting brothers. It's good. It's very good. 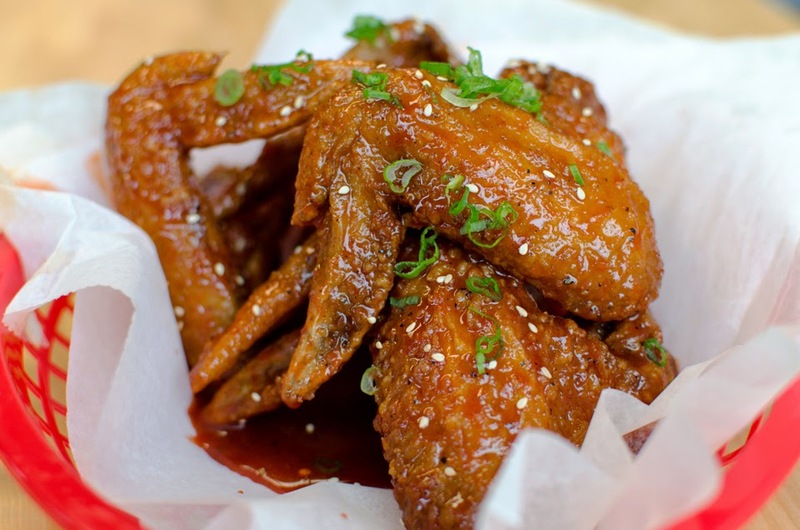 Double fried Korean chicken wings are apparently a thing. There's a couple of places that have them (including the better known Crisp in Lake View) I think Dak is better than Crisp-- the wing is about the same, but I prefer the sauce at Dak. Although Crisp has more sauces on the menu (and gives you much more Kim Chee! ), I think the Dak sauce (soy and ginger) is the best thing going. The spicy sauce is very peppery and not that spicy. The wings are a must, but they do have some limited other selections. 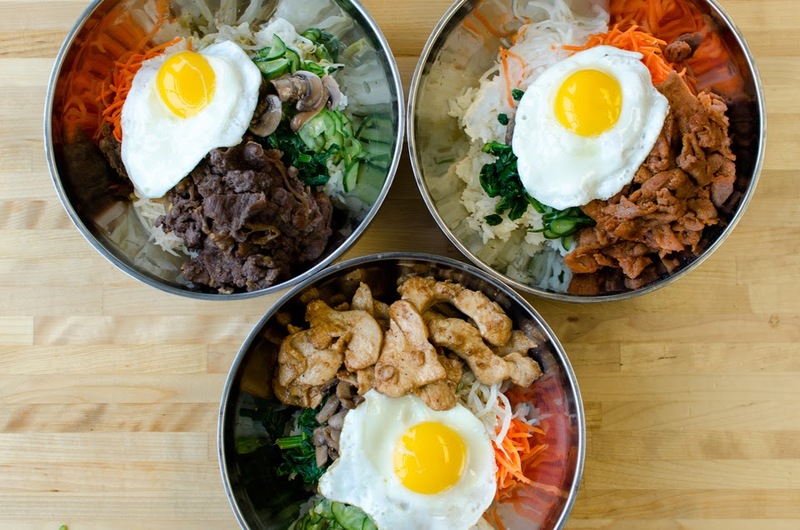 My wife loves their bulgoggi rice bowls. I've also had the Dukbokki, which are chewy rice cakes covered with a sweet spicy sauce and bulgoggi. The chewy rice cakes are a weird texture, and they take some getting used to, but I like them a lot. (One of the owners at Dak told me they were a traditional dessert, and they had the idea to use them in place of rice.) They also have waffle fries. I haven't tried them (seemed a little too weird, but it's near Loyola, and wings and fries have a certain college appeal. I get it. Seating is limited, so when you go, grab a table as soon as you arrive. Get one of your party to order for everybody. Five wings is enough for one hungry person. Enjoy!